The Study Group gets into a heated game of Jeopardy at Greendale during a storm and get snowed in. As always, when they're stuck together in dire straits, secrets come to the surface and they grow closer together. 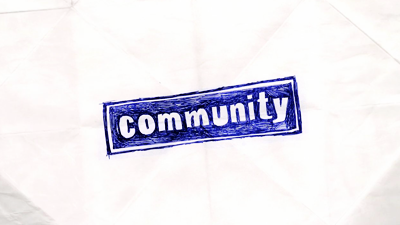 Did you used to have a youtube channel called communitytvlj? If so is there anywhere else I can watch your videos? (For example there was the video titled *SPOILERS* Behind the Scenes - Animated New Community (Part 1) and then the second part, and I really wanted to see them, as well as any other videos you may have posted of the cast). I hope it's okay if I post here, I started a free-for-all Community ficathon to celebrate the show, motivated by the end of season 6. Click on the picture to go to the ficathon! Prompt, read, write! Just posted on my own LJ about the past two episodes, then realized I hadn't seen anything here. Does anyone still watch the show? I actually wasn't so pleased with the last two episodes. But I'm hoping it'll pick up. Spoilers: Through the end of season 5, set about 9 months after (SPOILER) Troy leaves. Summary: The pain, longing and loneliness for Abed after (SPOILER) Troy's trip continue in this story full of twists and turns. Author's Notes: I'm still working on it, so don't expect a whole lot right now... But I'm working on it actively, so stay with me! Gallery | Listing | Zips available in the listing. Fake Cut to my lj here! AN: I heard the line in Community season 5 and had to do the crossover. Fistful of Philanthropy is up and running! Hey everyone! I deleted the old post of the "pitch" for this, and now that I've cobbled together a more substantial site, I figured I'd post it up. If you want to contribute merch, or art/fic requests, feel free to sign up! If you have the means, try to get the word out about this! If you'd like to make some "advertising" graphics to help link people around (it doesn't even need to be from the "Fistful of Paintballs episode".) Go nuts! Heck, grab a fox off of Google images, stick a piece of straw in her mouth and bam! That's our mascot, Four of Diamonds. Money talks, and showing prospective picker-uppers that we raised x amount of dollars for a good cause will really put us in the good books! Also, it's good to help. That's the most important part. 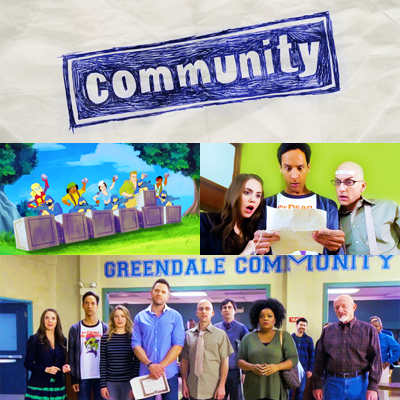 I made a masterlist post of ways to help Community get picked up over at the savegreendale. Check it out here so you can help support the show, share your own ideas, and get campaigns started. Let's do this. Time to work on saving Greendale again. Summary: With complete access to fictional worlds, one person decides to venture in for the purpose of making his own personal action film. The real question though is who he selects to play the roles. help get our sixth season! haven't posted in here in a while but i still always remained a lover of the show, which is why i'm concerned about the less than steady ratings which have occurred this season. I fear that due to the decline in ratings this season we will not get our sixth season (and a movie). I'm not here to be a debbie downer, i'm actually here to see if we can rally together and make a difference! After seeing the Subway sign many times in the finale it made me think about how Chuck fans rallied together and all went to Subway together with the demand of an additional season of their beloved show--it made me wonder if us Community fans could do the same thing before NBC makes their renewal decisions (it did take them forever to decide last year). I'm not sure how we would do it--if someone could find out how the Chuck fans did it then that would certainly help--but I know that that rally to Subway actually made a huge impact on NBC when they were deciding to cancel or renew Chuck. I know it may sound silly but if a very large group of Community fans all went to Subway together like the Chuck fans did then I think we might have a chance of helping to save Community! What do you guys think?